-9 censor's scissors. Or are we? Yes, you may have my share save for an occasional nibble of persimmons. I've eaten paw paws but am not very fond of them. It seems like they would make very good jelly though. Well, dearest, must close for now. 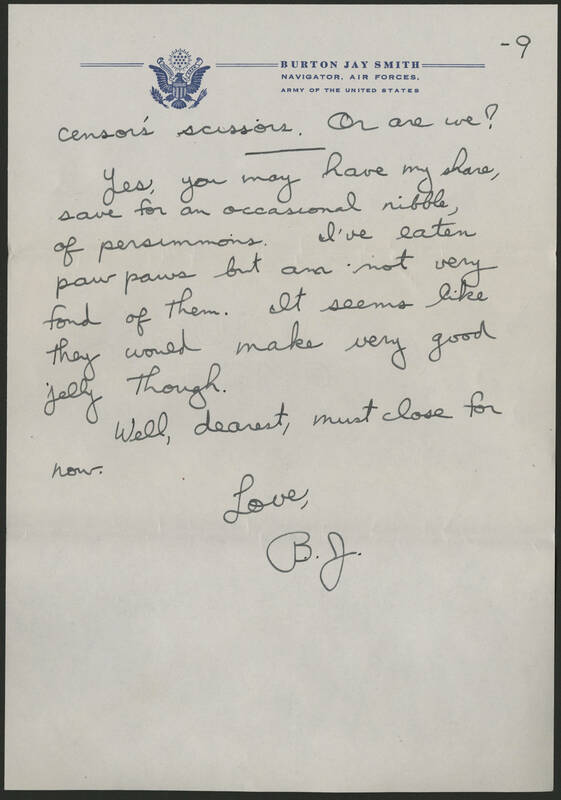 Love, B.J.